It is often said that women’s history is overlooked, but here at Waddesdon, the very survival of the house and its contents is in part thanks to the role played by three significant Rothschild women in its creation and preservation. 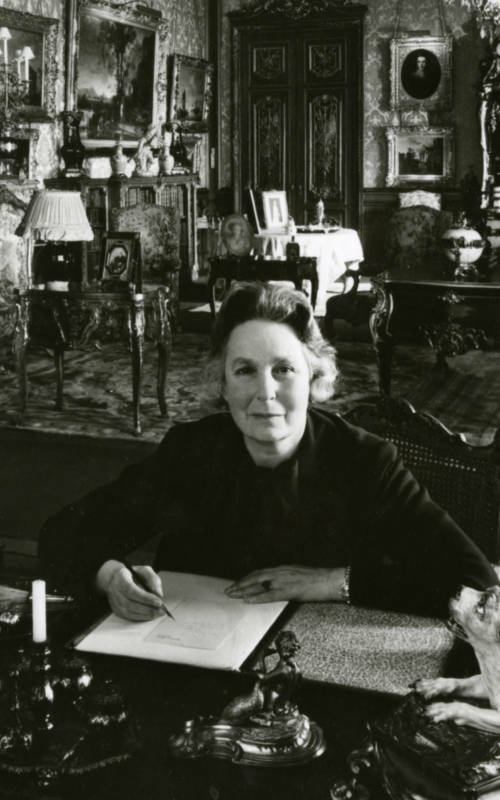 Exactly 40 years ago this year, Dorothy de Rothschild née Pinto, having masterminded the bequest of the Manor to the National Trust and as chairwoman of the Waddesdon Management Committee, published an article entitled ‘The Feminine Line at Waddesdon’ in the journal Apollo. In it she told the story of the lives and collecting activities of two of her female relations by marriage: Alice de Rothschild (1847-1922), known as Miss Alice, and Baroness Edmond (1853-1935), or Adelheid. In 1913, at the tender age of 17, Dorothy had married James, Adelheid’s son and Miss Alice’s great-nephew and, later, her heir. It is clear from Dorothy’s tone that she greatly respected and learnt much from both of them in terms of running a great house, and what it meant to be a Rothschild. 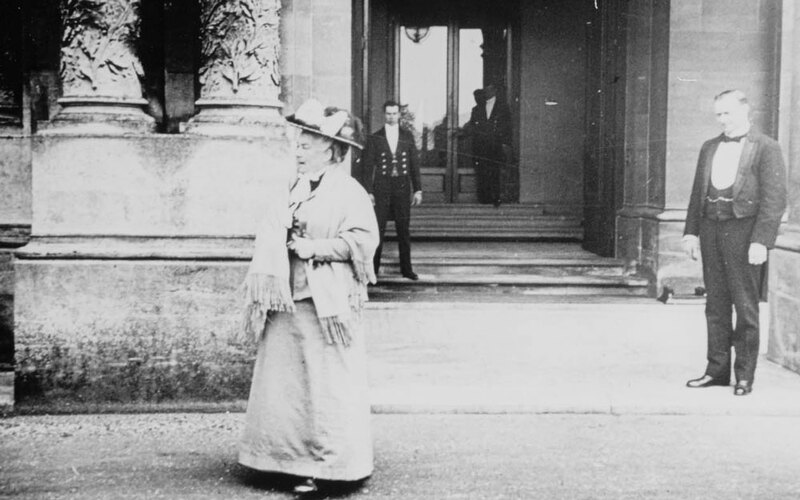 Alice de Rothschild outside the north front in 1910. © National Trust, Waddesdon Manor. In her article, Dorothy celebrates Miss Alice’s decisive nature, focus on the care and conservation of the collections and deep care for her grieving brother Ferdinand, the creator of Waddesdon, despite her own poor health – and Adelheid’s quiet devotion to her Jewish faith, her brilliant linguistic and musical ability, as well as her good memory, ready wit and sense of fun. Dorothy explains Alice’s interest in Renaissance art, expressed at her own house at Eythrope, and discusses the treasures she added to her brother’s creation at Waddesdon such as François Boucher’s 1749 painting of the infant Louis-Philippe-Joseph duc de Montpensier, later the duc d’Orléans (1747-1793). François Boucher; Louis-Philippe-Joseph duc de Montpensier, later the duc d’Orléans (1747 – 1793), 1749; Waddesdon (National Trust); acc. no. 481. © National Trust, Waddesdon Manor. She also notes Adelheid’s habit of dressing up her clothes with historic lace and buttons from her own collections and her love of all things textile, including exotic fabrics from the Middle and Far East, as well as her delight in fans and seals. 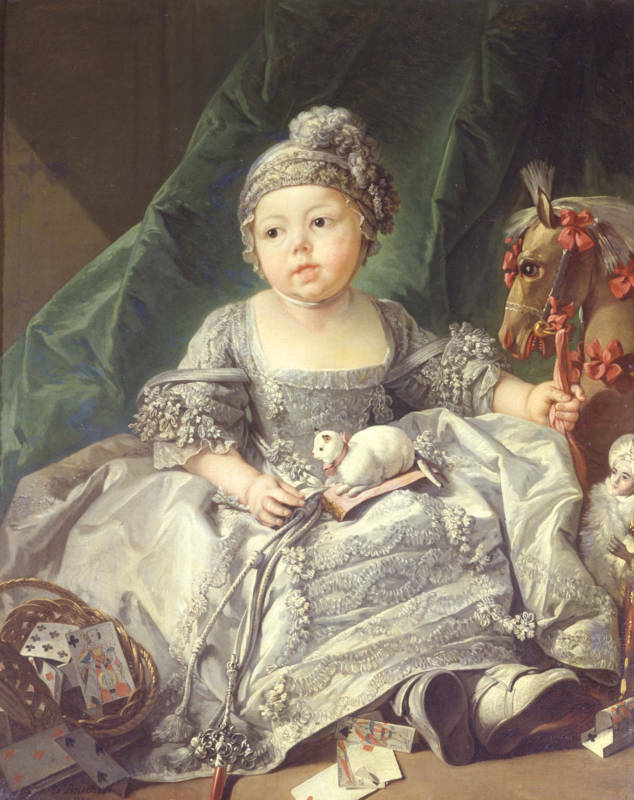 Her textile, costume and accessories collections are in fact one of the most interesting aspects of Waddesdon today. 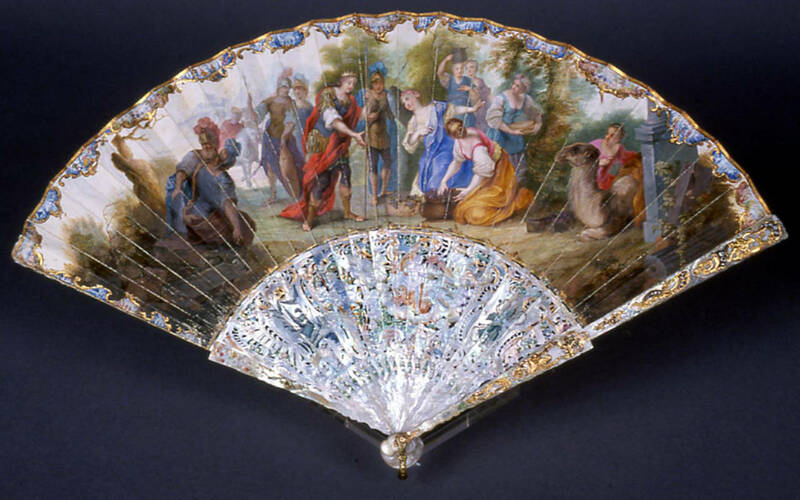 Fan: David & Abigail, c. 1730; Waddesdon (National Trust); acc. no. 3352. © National Trust, Waddesdon Manor. 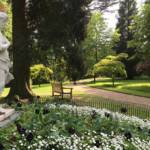 Dorothy’s own contribution to Waddesdon can also be sensed in the article. Although she was not as keen a collector as some of her relatives, the care and attention she brought to Waddesdon shines through as her legacy. She mentions her invitation to world-class scholars to research and publish the collection which remains the core of our collections cataloguing and research today. Dorothy’s perception of the history of the collections was a product of its time – for example, we know now that her assumption that Alice had collected all the arms and armour in the Bachelors’ Wing Corridor was more nuanced in reality. But her unique perspective on the family history and the collections at Waddesdon are all the more valuable for their personal character, and the fact that she actually knew the people about whom she was writing. Dorothy in the Morning Room. © National Trust, Waddesdon Manor. 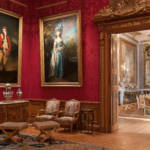 It is perhaps fitting to end this blog with Dorothy’s own conclusion to her article: ‘It is indeed fortunate for later generations that so much of the collections of these two ladies, despite the ravages of war and the exigencies of time, should have survived largely intact and should be amalgamated for the enjoyment of those visitors to Waddesdon who delight in the beautiful and the fantastic’.